Why do cats meow back at you? Why do cats meow at humans? Well, if those are some of the questions running through your minds, you are in the right place. Cats are man’s best friend. However, even though they are animals and we all know that animals don’t talk; they have a way of communicating with humans. Cats communicate in numerous ways, rubbing, blinking, purring, head-butting, and meowing. If you observe your cat, you will notice that they have various calls for various purposes. According to the author of a book known as the cat behavior answer book, Arden Moore, cats can make up to 30 sounds and 19 variations with just a single meow. 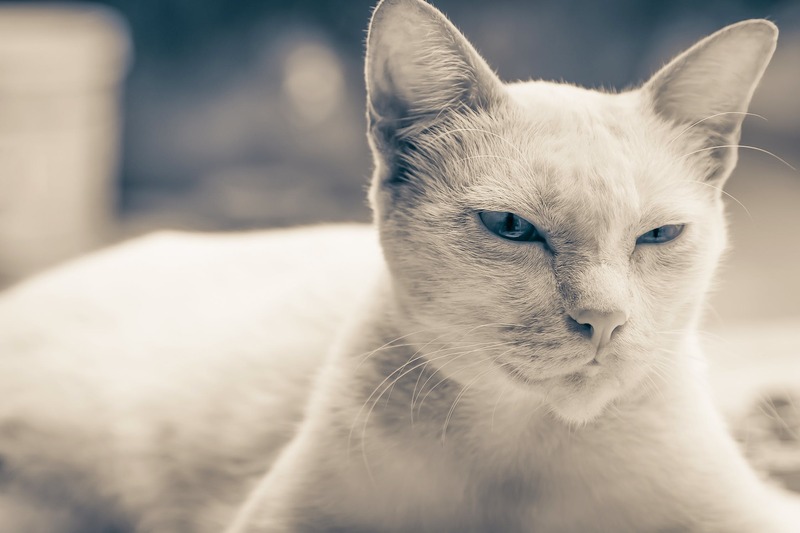 The blog seeks to help you understand different reasons as to why cats meow and more. Do cat’s meow at each other? Should I meow back after my cat? To begin with, they meow to communicate with humans. Here is a list of a cat meowing meaning. A cat may meow to say “I’m hurt. A cat may start to meow excessively, and that may be an indicator that something is medically wrong with the cat. Various diseases can make your cat feel excess pain, thrust, or even hunger which may lead to excess meowing. If you notice abnormal meowing take him to the vet for evaluation. Mostly, a cat meows at humans when you come home after being away for some days or hours. The meow is just but a way to say hi when you meet in the house. Cats are friendly, and you will notice that whenever you get home, he will cuddle your feet as he meow. Just cuddle him back. In most cases, cat’s meow to say Am hungry or thirsty. At times, a cat may run around after you meowing that is an indicator that she is hungry and she feels that dinner is late. Also, if you start eating without serving her food, she might meow non-stop until you serve her meal. At times, cats talk merely because they need your attention. They know that meowing gives them exactly the attention that they need. Sometimes, they meow to initiate petting, play, and to get you to talk to them. As I said earlier, they are social animals. If your door is closed, and she is outside, she meows to tell you to open the door some cats never want the door closed. Whenever you close it, she will meow to get you to open it. Cats that are under any form of stress are more vocal than usual. You may notice this when taking your cat to the vet or when in the car. 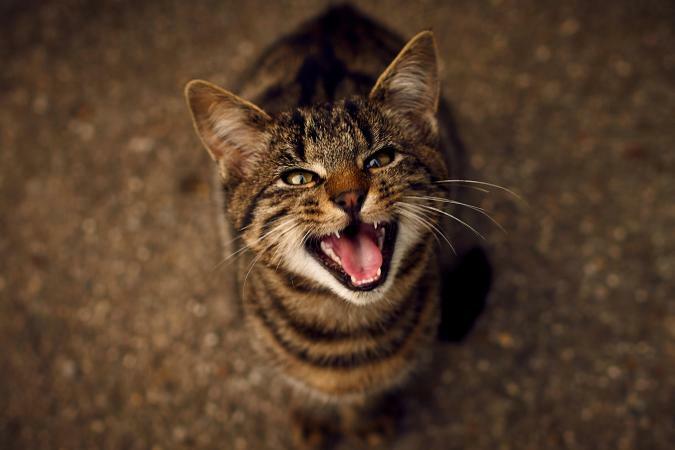 When angry or agitated, they meow in a screaming manner if threatened enough to attack. As a cat owner, you know that sometimes cats purr for unknown reasons. Maybe he wants you to change the TV channel or because the sky is blue. Since a cat can make various sounds, your cat might use different sounds on different occasions with differing meanings. All you need is to pay close attention to circumstances that your cat meows and the sound that he makes can help you understand your best friend better. Cats have a secret language of communicating with humans with meows. They do not meow to communicate with other cats; they meow to communicate with humans. According to Bradshaw, you will rarely hear a cat meow since they are very silent as they purr their tiny heads all day or throughout the night. Some People usually think that this is a classic cat behavior, but when they do not know is that it is something that cats have learned to get attention. It is something that cats have adopted as a way of communicating with people. Of course yes! Why shouldn’t you meow back? Your cat will probably appreciate your effort. 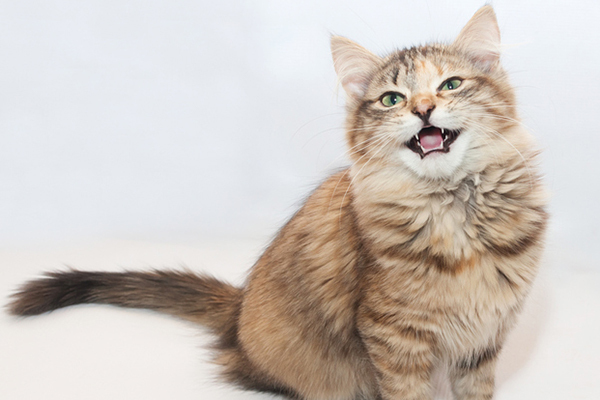 Here are various meows and their meaning and how you can meow back. When a mother cat calls he kitten, she names a staccato sound that is followed by a meow. If you make a similar sound to your cat, he will come to you. After all, they are cats. For example, you can say, “Mitty mao” when looking for your cat. Even if he will not come out of hiding, my cat talks back to me by at least meowing back from wherever he is hiding. When you cat needs you to do something that he thinks you know how to do it, he will use a long-dragged meow with a sudden rising end. In such a case, meowing back at your cat is not advisable since that can easily irritate them. A cat’s way of saying Hi is a short meow. In most cases, it does not have the “me” part of the “Ow.” The sound is more of an “eh” or “Ow.” Just like your hello, making this sound means that the cat will give you back the same sound and so you need to do it once or twice. By doing it several times, the cat may get bored. Just imagine of a case where a person says Hi to you, you answer Hi, he says Hi again, you answer Hi and this goes on for a while. You may wonder if the person is mentally challenged and you may end up getting mad. If you meow severally, the cat will stop responding and rub against your legs, or even walk away. 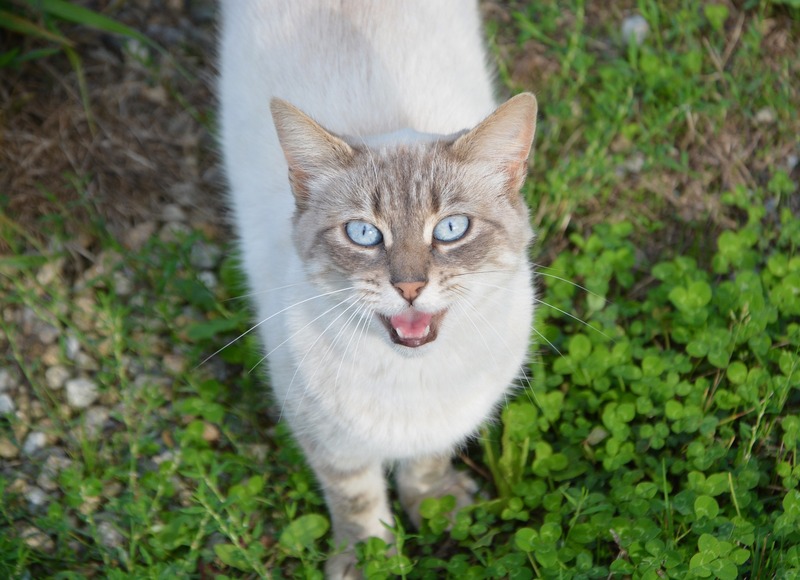 The above are the most common meows that your friendly cat may do with you. One thing you need to note is that a social cat meows usually end with a rising tone and so if decide to meow back at your cat, make sure you sound staccato or brief.